This page includes our Adoption Process, Puppy Pricing, Shipping Fees as well as our Deposit Form and Puppy Application button. 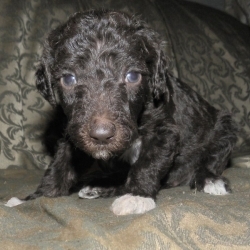 Please be 100% positive you want a Dreamydoodle puppy MORE than any other puppy BEFORE you place a deposit on one of our litters. 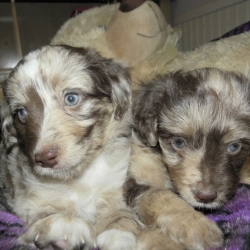 Find our currently available and upcoming puppies on our puppy nursery page/available page. Don’t think solids are cute or fancy enough huh? Well, guess again! Puppy Shipping (Cargo): $425 – Shipping Price includes Flight Certificate from the Vet, Shipping Crate, Food/Water Dish, Blanket and the price of the actual Flight. We handle all flight arrangements and we must be notified at least a week in advance to date of travel. Puppy Flight Nanny: Must be arranged a month in advance usually costs $450-$475 – Price does NOT include a Flight Certificate from the Vet it’s not usually necessary for carry-on pets but it is with regular shipping and we do prefer to get one anyway. A carry-on crate is not included, because they have their own and you don’t get to keep it. A shipping crate is included in the regular shipping price.This is a great option if you let us know in advance! Extended Stay/Boarding: $25 a day – $175 a week this is for any puppies who need to stay a week or so past the pre-scheduled Go Home Date – Not available for long term, for example – an extra 2 to 4 weeks is not available. MUST BE PRE-APPROVED. For the Balance we accept Cash, Money Orders or Cashier Checks on the day of pickup (unless you are shipping in which case we ask for the balance 2 wks in advance). If you want to pay your balance using PayPal, please be aware you will be responsible for the extra 3% PayPal service fee. Please prepare in an advance to either mail us your payment to avoid PayPal fees or bring it with you on pickup day. We can also accept payment over Facebook Messenger which is a direct bank to bank transfer and is free. We will definitely discuss your individual payment options before pickup day. 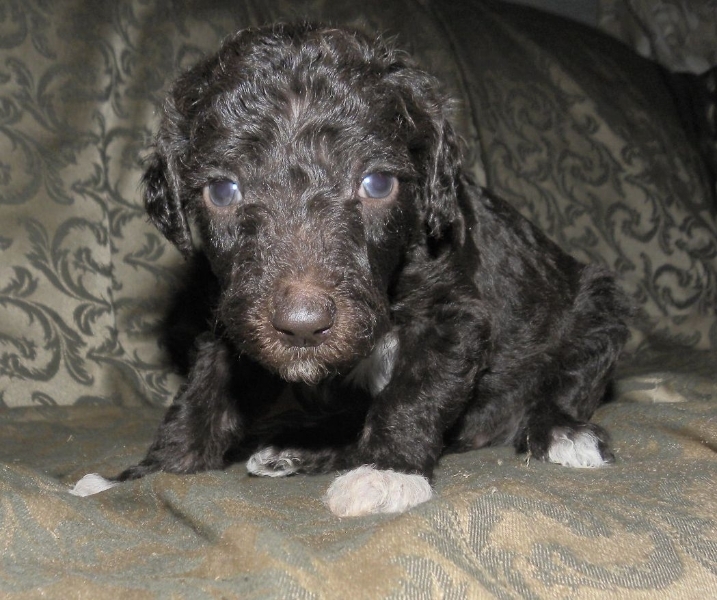 DREAMYDOODLES STEPS TO PUPPY ADOPTION…. 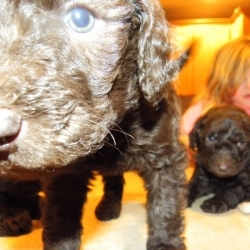 Find the Dreamydoodle litter you’re interested in on our available page.. Submit your $300 non-refundable deposit to secure your pick slot on the litter of your choosing (deposit form above). We will keep you updated with pics and videos as your puppy grows, especially on Facebook so make sure to like and follow our Facebook page! Picks are done in the order deposits are received. 1st deposit gets first pick, 2nd gets 2nd pick and so on. Puppies go home at 8 weeks old, you can pickup them up here, we can sometimes deliver or meet you half way or we can arrange to have them cargo shipped using one of our preferred airlines like Alaska or another option is a shipping nannies who can carry them on the plane and deliver them to you at your local airport. 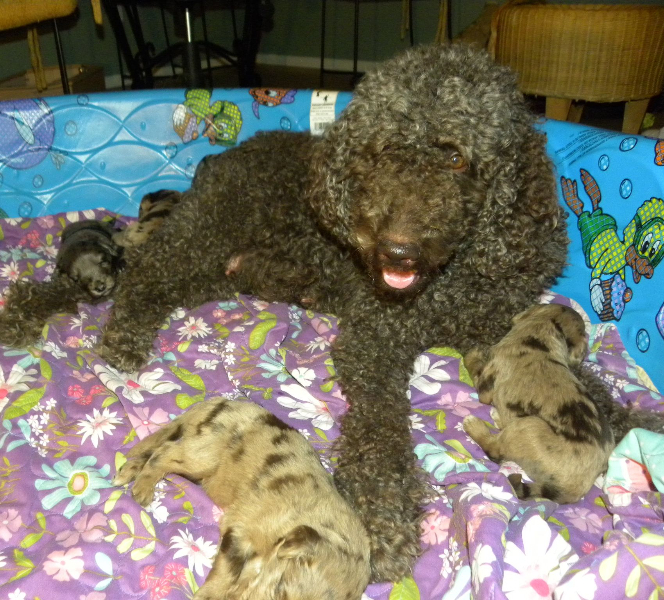 Dreamydoodles retains the rights to first pick from ALL of our litters but we don’t always keep one. The Puppy Application is used for our records only and also to make sure we have a puppy that fits your needs. Your DREAM puppy! Both the deposit and the application MUST be submitted before your name will be added to the pick list and we must speak first as well. Please click the button below to submit your application and start the process of adopting your dream puppy! DO NOT BUY A PUPPY FROM A PET STORE! NEW! Shipping Nannies: $450+ we have shipping nannies available now!! These wonderful nannies will pick up your puppy at our Portland, OR airport, carry them on the plane and hand deliver them to you at your airport. This option does have time and location limitations. 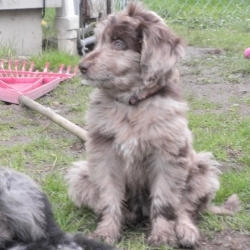 We ask for a $300 “Non-Refundable deposit” to get your name on the puppy pick list. Basically because we want our families to be invested in their future puppy and also be positive about US as their puppies breeders. A puppy is a 10-14 year commitment and we want our families to have completed their research, talked to other breeders and ultimately decided on us before placing a deposit. We want our families to be done “looking around” and our lists also fill up quickly and we have to start turning away truly interested or ready families. 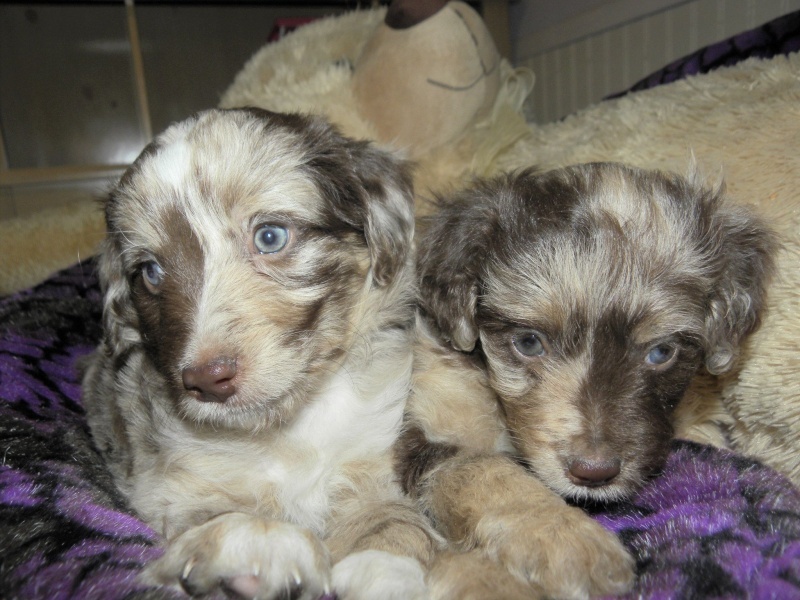 Our “Puppy Deposits” are non refundable however, they are transferable to our next or future litter. If you’re unable to take your puppy home for any reason or if you need to wait for a future litter your deposit is transferable to a future litter. We do ask that you be respectful of our time as well as the other people on the pick list by letting us know RIGHT AWAY… so we know exactly how many puppies we have available and we’re not turning away interested families. 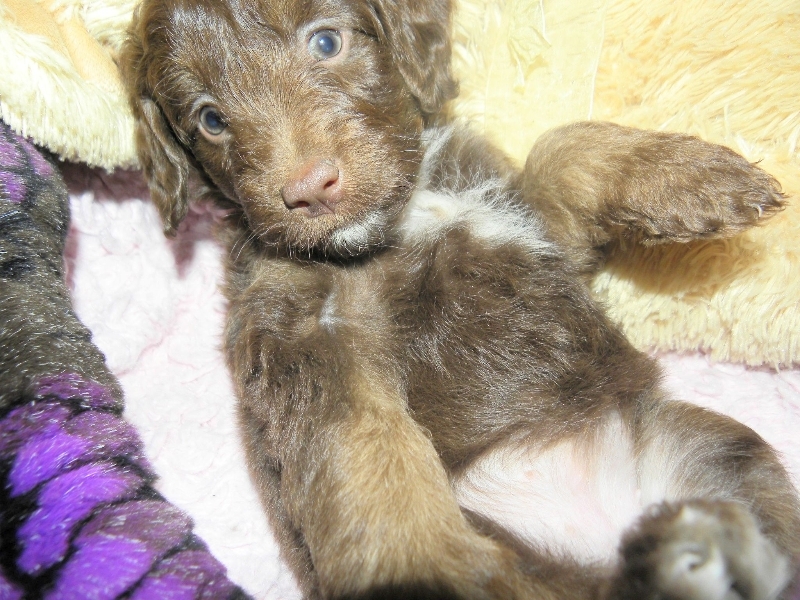 We do ask that you please be able to take your puppy home at the pre-scheduled take home dates (8 to 8 1/2 weeks old). Keeping puppies after their pre-scheduled pick-up time is considered an “Extended Stay”.. We will give you 3 extra days at no charge but after that we do start charging boarding fees. Puppies must be paid for for in full by or before their scheduled go home date. We can not hold puppies for an “extended stay” with just a puppy deposit. We need solid confirmation. Payment must be made using either cash, money order, cashier check or Paypal. (Remember: Paypal charges a 3% extra fee (which you will be responsible for). We ask that all extended stay requests be pre-approved so there are no surprises. Payment for an extended stay must also be paid as part of your balance. If you go over the amount of days PRE-APPROVED or planned then you must bring the remaining fees at time of pickup in CASH. BOARDING IS FOR DREAMYDOODLES PUPPIES ONLY. SORRY, WE DO NOT BOARD DOGS FOR THE PUBLIC. 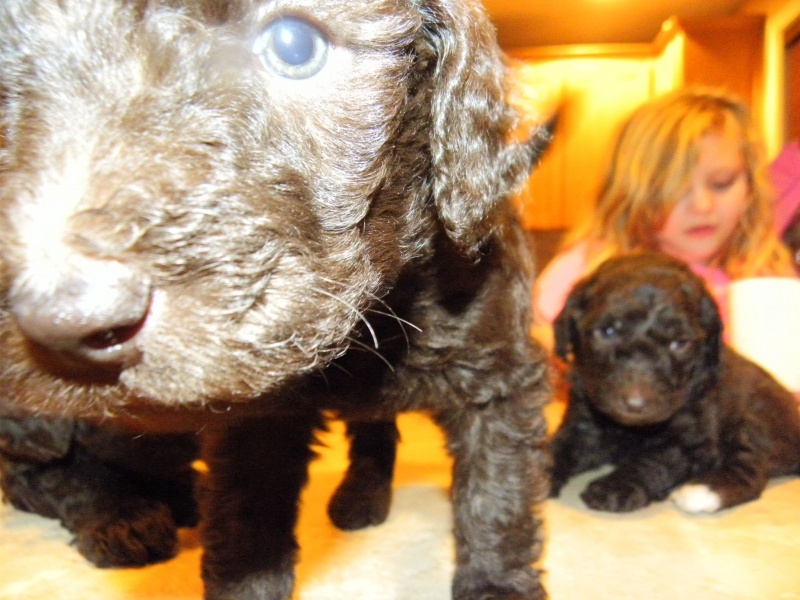 Can I visit your facility and meet your dogs before placing a deposit or picking my new puppy? We don’t have a “facility” and we don’t run a “commercial dog breeding kennel” and definitely NOT a pet store or a petting zoo! 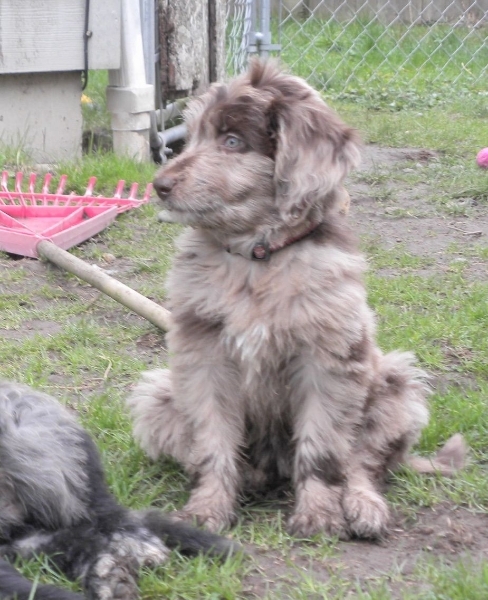 And even though I’d love to show off how cool my Labradoodle and Aussiedoodles are to everyone who asks me to meet them.. for the safety and privacy of my family and the health of my puppies as a Mother I must be more exclusive about who I invite into my home. We ONLY allow visits from families on our waiting list who are invited to come on scheduled visits to pick out and pick up their new puppy when the time comes. We don’t just offer to drop your new puppy off at the local Walmart (like ALOT of breeders do). We have absolutely nothing to hide and welcome all our new families to come and visit with us. We just don’t open our doors to the general public. Simple. Read what families have to say about our dogs and Dreamydoodles: Luckily, We have plenty of public testimonials and reviews you can read. 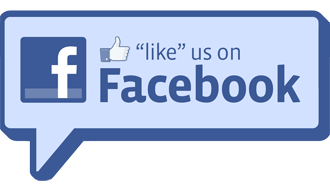 We’re a 5 star rated business on Facebook and we’re very proud of that fact. FB Page owners can NOT edit or delete their FB reviews and we’ve seen many dog breeders who’ve been forced to turn off their “reviews section” for this reason. So, if one of our families had a negative experience with us… It will be here! Stil concerned? If you place a deposit, come for a visit and then you decide..nope, our puppies are not for you and never will be.. (this has actually never happened).. but if it ever did, I would have no problem refunding your deposit. 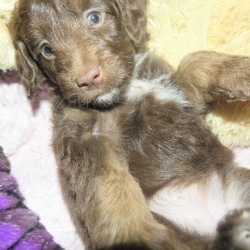 Read our “New Puppy” Shopping Checklist! 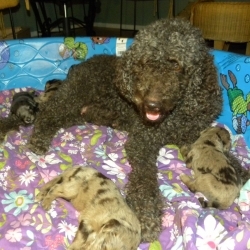 Get Notified Of Future Litters! Join our Litter Notification List above to get notified when we are expecting or have new litters!